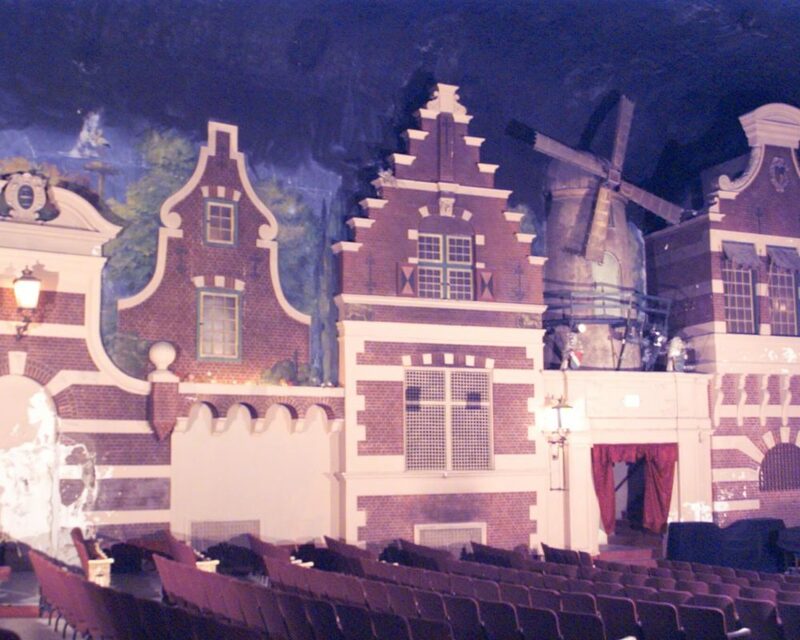 The Holland Theatre in Bellefontaine, Ohio, was built using a “Dutch Style” of architecture, to create an atmospheric theatre. 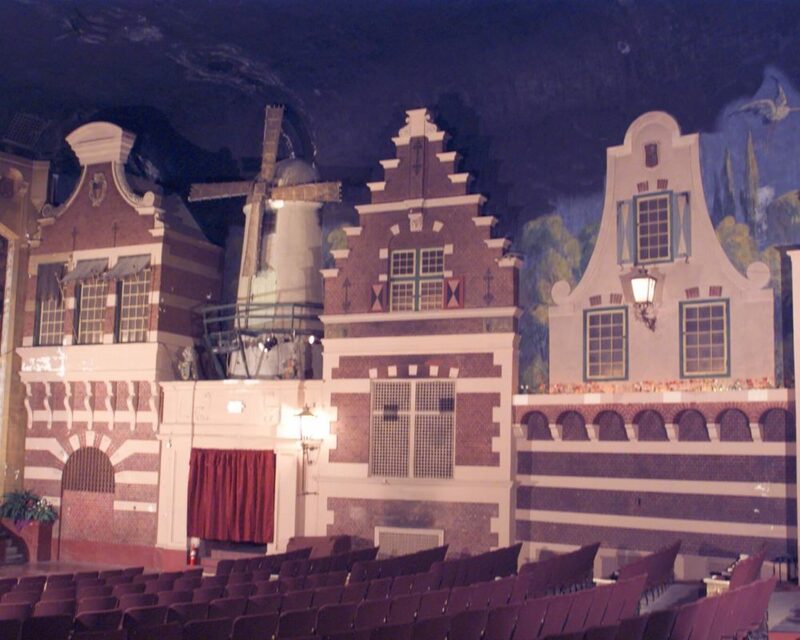 Built in 1931, the Holland originally had the capability for both cinema and stage plays, but it was known for large depictions of a 17th-century Dutch landscape that lined both interior sidewalls of the theater. The displays included windmills that slowly turned. 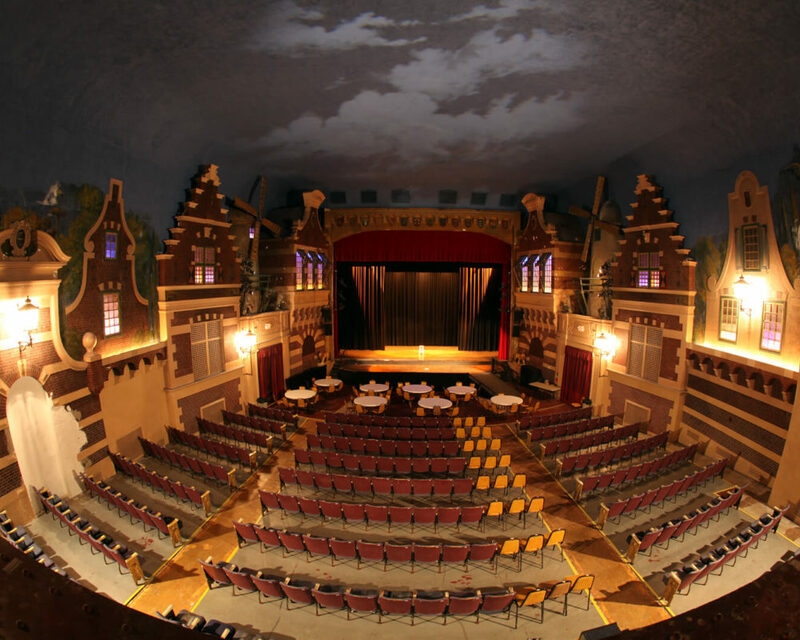 Schine Enterprises, a family company that built and operated about 150 theatres in six states, built the Holland Theatre in downtown Bellefontaine in 1931. 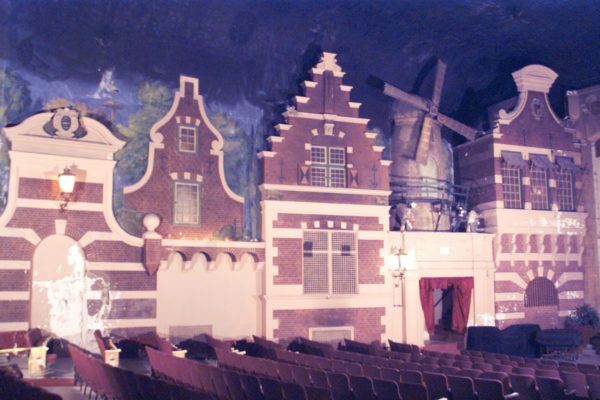 The Schine’s Holland Theatre is the only Dutch-style atmospheric theater in the United States, and perhaps the only one existing in the world. 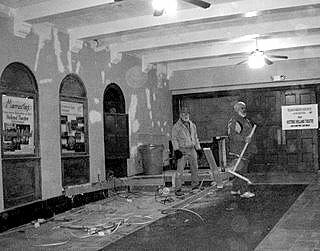 The Holland Theatre not only represents a nostalgic part of Logan County’s past, but it also offers new opportunities for the county’s future. 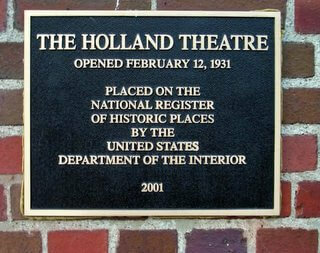 From the outside, the Holland Theatre has not changed dramatically since it was built. The exterior of the Theatre is attractive rose-colored brick. 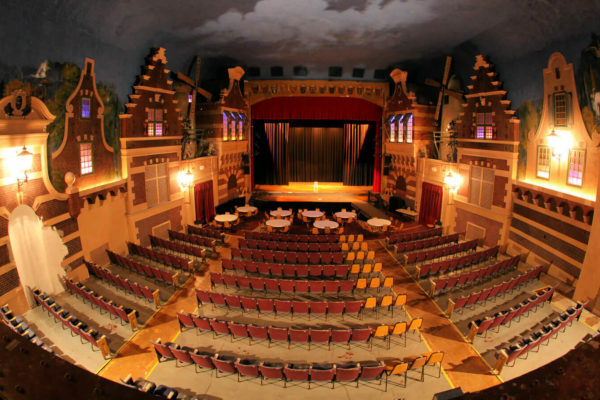 The three story structure has a stepped, Flemish-style gable that gives only a hint of as to what awaited movie-goers inside when the Theatre was in its heyday. 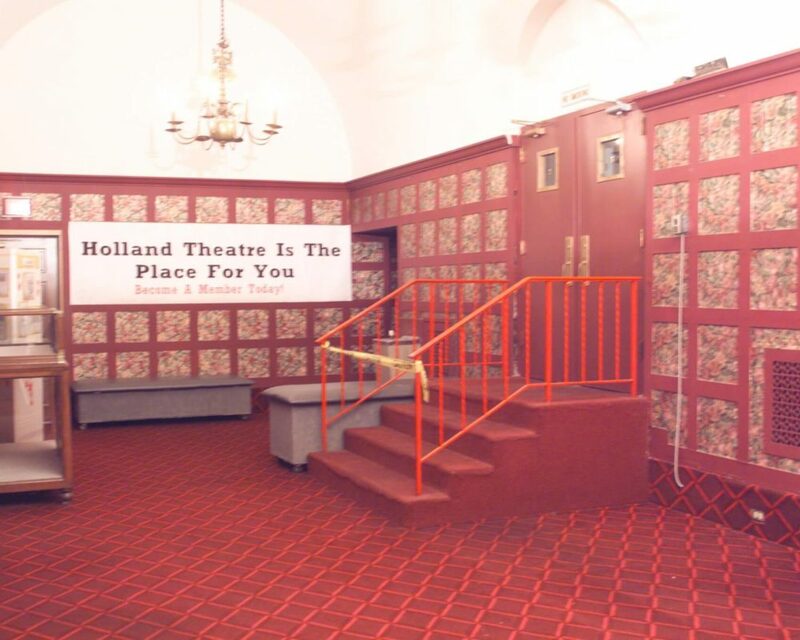 Although the lobby and main foyer of the Holland has been cosmetically altered through the decades, originally both spaces introduced the Dutch theme with its hewn timber framed beams, heavy plastered walls, and reproductions of famous Dutch paintings hung between field-paneled walls. While 1,400 patrons sat in air-conditioned or heated comfort, they did so as their eyes told them they were outdoors. 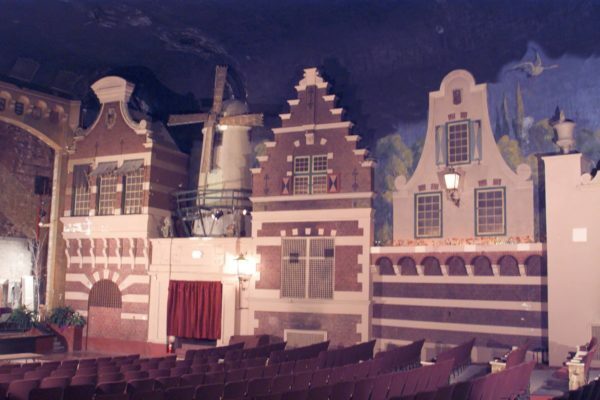 The interior auditorium was designed as a convincing representation of a 17th-century Dutch cityscape. Blooming tulips waved gently in window boxes as two working windmills quietly stirred the air. The brick and timber-framed facades were careful reproductions, nearly actual size, of known buildings – one of which was the family home of the Holland’s architect, Peter Hulsken. Windows in these facades were dimly lit from within, giving the impression that building’s interiors were illuminated by candlelight. The ceiling was painted a deep blue, and tiny lights simulated flickering stars. A cloud machine completed the effect. The largest movie screen in Ohio, 40-feet long, filled the stage. 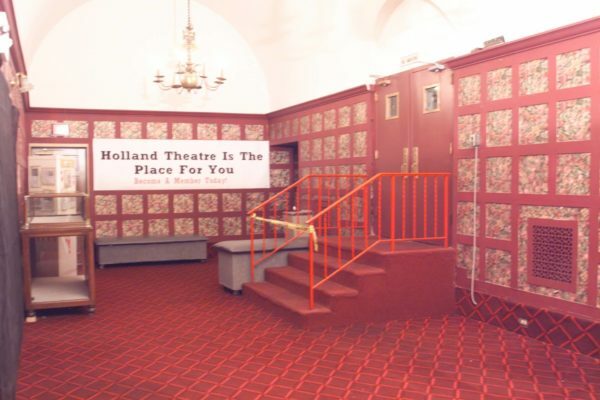 The Holland was eventually converted to a five-screen multiplex, with the “main” screen remaining in the auditorium in front of the stage. The theater’s balcony was split in half and converted into two screens, and two additional screens were constructed in the rear of the cinema where the stage previously existed. 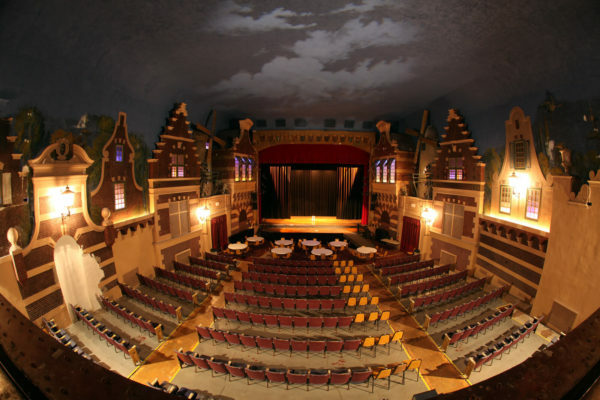 The theater was closed in 1998, but with grand efforts on the part of the community and theatre fans, the building is open and hosts various fine arts events, while a preservation group works to restore the theater with the help of a matching grant program through the Jeffris Family Foundation.